If you’re looking for a quick and easy, low maintenance hair enhancer, clip-in hair extensions from MCsara are the perfect option for you! 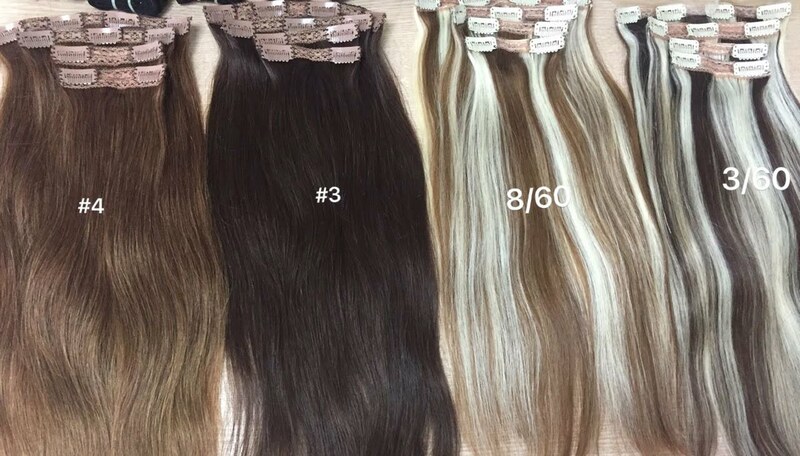 As opposed to sewn in or glued in hair extensions which require a hairdresser to put them in and take them out, clip in’s can be fitted completely by yourself. Simply clip them in, tease, style, and you’re ready to go! Everyone has their ideal head of hair, and clip-in hair extensions from MCsara are perfect for helping you reach your dream hairstyle! If you dream of Blake Lively style tumbling tresses, you can purchase a full head set to replicate the look. If it’s gorgeous thickness you’re longing for. Clip in hair extensions Full set. Payment method: T/T, Bank, Western Union, Money Grams, Paypal.